I recently picked these up in Primark. I had my eye on them for a while but honestly the price was off putting. They cost approx €8.99 and I thought for one set of nails that only last a week, that is pretty pricey. It was only on my next visit I noticed that the pack actually contains 24 nails which would enable me to get 2 uses out of it. This I could justify so I took the plunge and purchased them. I adore the packaging! It is so cute and clever. It is an ideal way to store fake nails. I detest the broadway plastic trays because the nails end up everywhere. This packaging keeps them all one place and even when the nails are gone you can use it to store earrings or chains whilst travelling. I hate to say this but sadly I am not impressed! I applied these the other night, by simply removing the backing sticker and placing them on clean nails. Originally they were far to long for my nails and looked pretty gross so I ended up cutting them and filing them down. This was not a good idea because the nails have a sticky layer on them and when I filed them down the top of the nail was left with a sticky residue that I spent ages trying to remove. I have to admit when they were all applied and cut down to a suitable length they looks gorgeous and I was really impressed! (excuse the pun) But less than 10 minutes after application I was opening a drawer and one flew off. This resulted in me getting nail glue and sticking the nail back on. This happened with another nail later on in the evening. I was only lounging around the house and getting ready for bed which didn't involve putting my nails under any stress. So there was no reason for them to come off so easily. 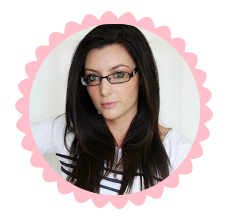 They never really felt entirely secure on the nail and the thought of washing my hair with them on killed me, as single strands of my hair would constantly get stuck under the nails even when I ran my fingers through my hair. Unfortunately the next day in college another two popped off and to be honest I was getting annoyed with them at this stage so that evening I took them all off. I loved how these looked on my nails but they are totally not worth the hefty price tag and the fact they didn't last over 48 hours on me means I certainly will not be repurchasing them. I am going to stick applying normal false nails and painting them myself. 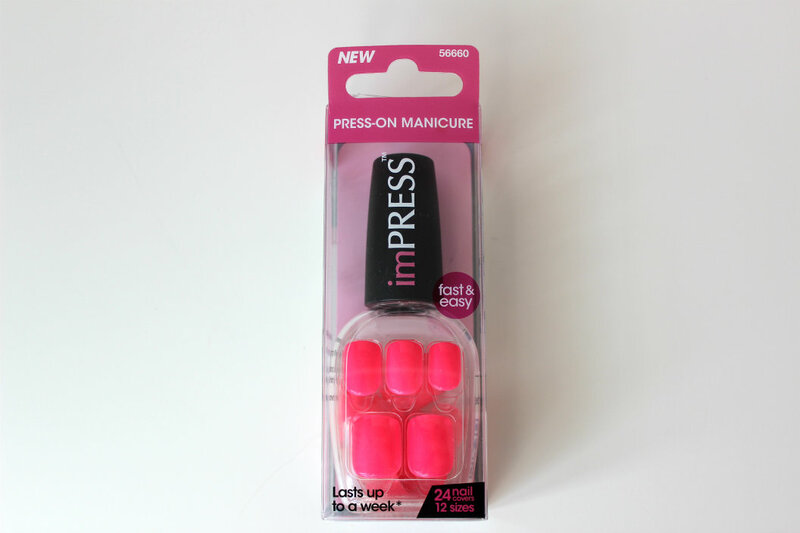 Have any of you girls tried these imPress nails? What did you think of them? Love the packaging on these but from the review it looks a bit like style over substance? I've tried these also and wasn't to happy with them. I loved how they looked but they fell of so easily! What an interesting idea! I have never tried this before, but I may have to! I am your newest follower and would love a visit from you too! I had a feeling these were not going to be good in practice. I think in theory they're a great idea, though. Sounds like they need a stronger adhesive. Ive not tried them - although they come in some fun shades / patterns. I think they would be way too long for my nails too. Im not really into false nails. But they do look pretty. I've tried impress nails, and I really liked them! Mine stayed on for 6 days when I decided I wanted to remove them, and when I was taking them off they were still really stuck on! I like the length too but my natural nail bases are a similar length to the impress nails, I actually had to cut down my own nails before applying these! I love the colour you bought, and I think they look lovely how you've cut them down! I tried them twice. The first time I used them I wasn't that impressed, but I did rush putting them on. But the second time they lasted a full week so I would defo use them again. How did you find these after you'd had them on a few days? I tried the normal French Manicure style nails and absolutely loved them for the first day or two. After that they started to pop off at the most inappropriate times, like when I was at work :/ I ended up having to carry nail glue around with me just in case! They stayed on for a whole week, and I even had trouble removing them when I finally decided to take them off. Maybe it just depends on your nails? I don't know. Did you use the preparation wipe? I found that helped mine stick a lot better. I have tried the impress nails and I found that they last a long time (up to 7 days). The glue was so strong that I hurt myself whilst trying to remove them. I didn't use the wipe but I put a coat of clear nailpolish before.